With the sarcasm aside, one very positive thing did come out of this trip. Something that was so well received on the global stage and even combative to Trump’s, well, “Trump–ness.” Until this point in Trump’s Presidency, Melania and their son Barron, have continued their residence at Trump Tower while Barron finished the remainder of the school year. Because of this, Melania has been rather removed from the majority of the media frenzy and limelight. This trip proved to serve as a type of introductory tour for the First Lady of the United States of America. During Trump’s campaign, Melania Trump was often portrayed in a negative light. Characterized as little more than a “pretty face” that could “hardly speak English,” Melania was given a world stage to prove otherwise. 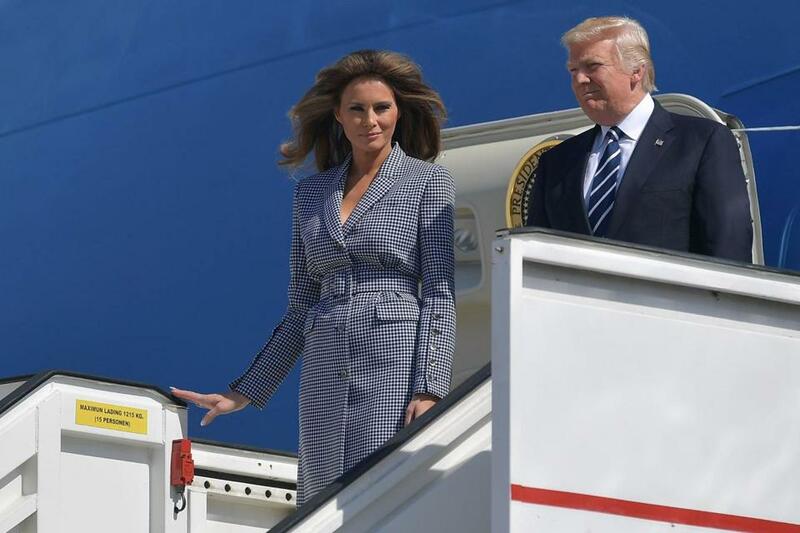 It can be suggested that on this overseas tour, these characterizations of Melania Trump were proven far from true. 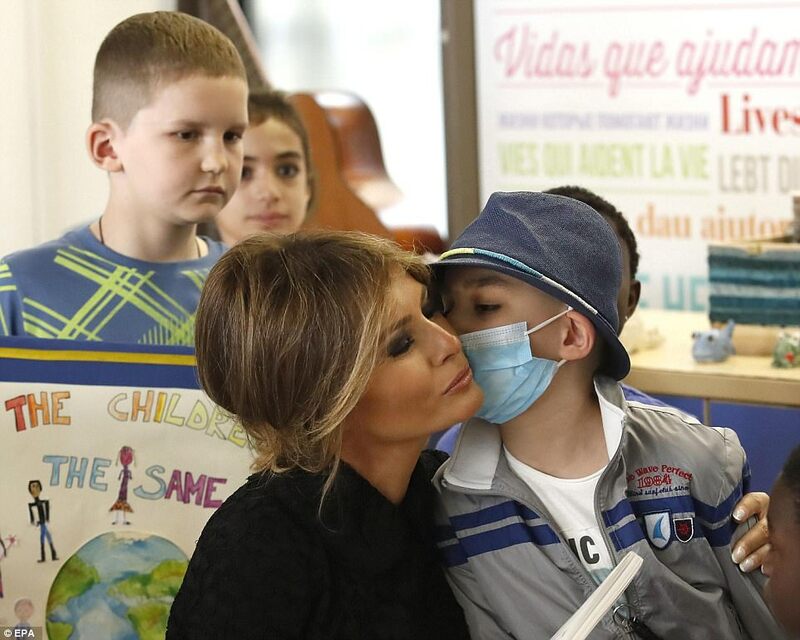 During Melania’s trip, she visited several children’s hospitals in multiple countries. In Saudi Arabia, she met with the employees of a General Electric all-female service center, where she spoke about empowering women in that country. She reportedly wooed world leaders with her impressive language skills, speaking French with President Emmanuel Macron and his wife, German with Chancellor Angela Merkel, and Italian with the Pope. Melania has proven herself to have phenomenal value, and potential value, within Trump’s Presidency. From this trip we can draw characterizations of grace, compassion, genuineness, and honesty. In this way, Melania is somewhat reminiscent of a former first First Lady; “Jackie” Kennedy. These characteristics, paired with what has become known as “fashion diplomacy” and a warm welcome on the world stage, all point to these seemingly obvious comparisons. We can hope that with time, her confidence as a public speaker will grow and prove valuable as well. We know this to be true; Donald Trump is, unfortunately, larger than life. He is always the center of attention, and wherever he goes, the spotlight follows. Up to this point in Trump’s Presidency, nothing has been able to steal and keep the attention from Donald Trump, and it shouldn’t be suggested that Melania was able to garner that type of attention on this trip. Melania did, however, create a splash on the world stage that did not go unnoticed. With the First Lady and their son finally moving to Washington in the coming weeks, it will be interesting to see how her presence impacts the actions of her husbands Presidency. It is easy to connect the dots between the First Lady’s cause, and the ruffian tendencies of this Administration. Donald Trump has made a name for himself, in part, by bullying others. The question that remains to be seen is if Melania will be able to smooth out some of Trump’s rough edges. It does not seem unreasonable to assume that Melania might be able make Donald Trump and his teams at least slightly more self conscious of their own actions by identifying and taking action against bullying and cyber-bullying herself, even if only it is as a means to not negatively impact her cause. This entry was posted in American Politics, Donald Trump, Melania Trump and tagged American Politics, Bully, Cyber Bully, Donald, Donald Trump, Europe, G7, Macron, Melania, Melania Trump, Merkel, NATO, Pope, Trump, Women. Bookmark the permalink.